The increasing number of unaccompanied minors seeking asylum in Europe is a “particularly striking and worrying characteristic” of the current refugee crisis, according to a new report on migration trends in 2015 by the Organisation for Economic Co-operation and Development (OECD). The responsibility for children falls on the state where they first arrive and identified. In 2014, the 24,000 unaccompanied minors applying for asylum comprised 4 per cent of all asylum seekers in the European Union (EU). Many of the children who arrive at 16 or 17 years old come with no formal schooling. With no knowledge of the language of the host countries, the challenge of integrating them is different and more difficult than for adults as they need housing, schooling and specialised support services. Many children vanish from reception centres shortly after arrival, the report notes. Reuters/www.Stratfor.comAn Airbus Defence and Space satellite image courtesy of Stratfor, a geopolitical intelligence and advisory firm in Austin, Texas, shows at least 16 Russian combat aircraft stationed at the Bassel al Assad air base near the Syrian town of Latakia September 20, 2015. U.S. officials on Monday said that Russia has started flying drone aircraft on surveillance missions in Syria. An excerpt from Bose’s great-nephew Sugata Bose’s definitive account of his life. While Indians reacted with shock, grief, and disbelief, the British authorities in India had received the news of Bose’s death with a sense of relief. Now that their most uncompromising opponent was probably out of the way, they approved in mid-September 1945 the release of Sarat Chandra Bose and other members of the Bose family, who were being held long after most political prisoners had been released. Soon after the end of the war, New Delhi had sent two groups of intelligence officers, led by Finney and Davies, to Southeast Asia to conduct inquiries and to arrest Bose, if he was alive. Ironically, these groups included two Bengali police officers named H. K. Roy and K. P. De. Mr. Davies’ team, which included H. K. Roy, went first to Saigon and then to Taipei in September 1945. A pall of fear and gloom has enveloped the Kashmir Valley due to the spate of killings of local terrorists under mysterious circumstances. The blame is, invariably, being placed on the security forces but the facts, as they are emerging, point towards the killing being an offshoot of a violent gang war that has erupted between the Hizbul Mujahedeen (HM) and its splinter group the Lashkar-e-Islam (LeI). The security forces have not claimed to have killed the terrorist. They have no reason to not acknowledge killing of terrorists. All indications point directly towards the gang war. The uncertainty is eating into the people since it is their kith and kin who are being killed. The people are now desperate since the very organisations that were responsible for taking their sons on to the misconceived path of terrorism have now become their killers. The hapless boys who were, in any case, facing grave danger from the security forces are now being targeted from within also. Due to this twin threat there is palpable fear that the boys are now marked for elimination more so than ever before. A meeting between senior military officials from India and Pakistan in Poonch on Monday agreed to work to calm tensions along the Line of Control (LoC), including repeated ceasefire violations. Recent weeks have seen some intense exchanges across the LoC, with India claiming 25 ceasefire violations by Pakistan forces in September alone. 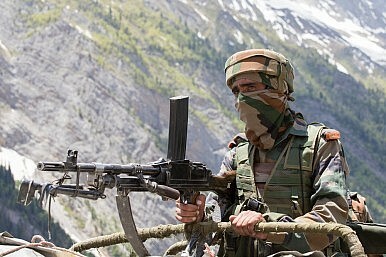 The clashes follow a brief period of optimism following an agreement made on the sidelines of July’s Shanghai Cooperation Organization summit in Ufa, Russia, in which the Indian and Pakistani national security advisors (NSAs) were scheduled to meet in New Delhi in late August. However, the talks were subsequently cancelled amid a row over Kashmir, and Pakistan’s refusal to accept conditions laid down by Indian External Affairs Minister Sushma Swaraj. In a late-night statement, Pakistan’s Ministry of Foreign Affairs said, “The scheduled NSA-level talks cannot be held on the basis of the “preconditions” set by India. For its part, India said that Pakistani NSA Sartaj Aziz would not be able to meet Kashmiri separatist Hurriyat leaders during his visit, and would have to restrict the agenda to the issue of terrorism, as was agreed in Ufa. “Given India’s long history of anti-nuclear activism, accession to the CTBT can be used as a bargaining chip to mainstream itself into the global nuclear order.” Picture shows a student at a peace rally in Mumbai to mark the 70th anniversary of the U.S. nuclear attack on Japan. Second, to negotiate India’s entry into the global nuclear order and third, to revive India’s long-forgotten tradition of campaigning for global nuclear disarmament. The historic Naga peace accord or a framework agreement was signed on 3 August this year between the Centre and the National Socialist Council of Nagalim (Isak-Muivah) at Prime Minister Narendra Modi’s residence. The contents of this accord have not been disclosed to the public and it has been perceived that an inclusive Pan Naga Ho-Ho (apex body of Naga tribes) or shared sovereignty may emerge as a result. How do we look beyond this accord? Why was it signed now and not earlier? Does the NSCN(IM) represent the voice of all Nagas? Why have Naga women leaders been excluded while the accord was signed? Have pressure groups like the Naga Mothers’ Association or the Naga Students’ Union expressed their backing for sovereignty or greater Nagalim? The Taliban peace talks, suspended since July, are now indefinitely delayed because of a worsening split in the Afghan Taliban. The leaders of the various Taliban factions are deadlocked over who shall be their new supreme leader. While these factions have not declared war on each other yet, many have said that they will not recognize Mullah Akhtar Mansour as the new leader of the Afghan Taliban. There has been some fighting but for the moment most Taliban leaders are seeking a solution that will not tear the organization apart. All this is happening despite the fact that the family of the founder (Mullah Omar) came out in support of Mansour. This mess began in late July when the Afghan Taliban announced the selection of a new leader (Mansour) to replace founder and longtime leader Mullah Omar. Mansour has been the acting head of the Taliban since 2010 because Mullah Omar was said to have health problems. It took weeks after the revelation for the Taliban to admit that Omar had been dead since 2013. The Taliban have not revealed exactly why his death was concealed although Omar’s family confirmed the death was from natural causes. The secrecy about the death was apparently to maintain unity. This became clear after Omar’s death and Mansour’s appointment were announced and several Taliban factions went public complaining of how the selection was made. The Afghan Taliban is known to be sharply divided over the subject of peace talks with the Afghan government and strategy in general. Some of the dissidents accuse Mansour of rigging the election. Some factions also complain openly that Pakistan (in the form of the ISI) actually controls the Taliban leaders living in Baluchistan under the protection of the ISI. That headline seems designed to elicit groans from Asia analysts. In fact, media coverage in general of the Senate hearing – and, more broadly, the question of FON patrols in the South China Sea – conflated the issue of challenging sovereignty and asserting freedom of navigation. That misconception comes because the actual point being made by FON patrols hinges on arcane details of international law. China and the United States are in negotiations over a cyber agreement that would see each side commit not to conduct a cyber first strike against the other country’s critical infrastructure, the New York Times’ David Sanger reports. My colleague Ankit Panda has more on the implications of such a “cyber arms control” agreement, should it be successfully announced during President Xi Jinping’s visit to the United States this week. Both Washington and Beijing would be eager to present some sort of agreement on cyber issues – one of the most vexatious problems in the relationship – during Xi’s time in America. A cybersecurity-themed delegation from China held talks on exactly that issue with U.S. officials from September 9 to 12. Presenting at least a partial solution to the cyber debate would do wonders for public perceptions of the U.S.-China relationship. A visitor to Beijing over the last few weeks will have had trouble avoiding the latest swathe of slogans pasted everywhere from public notice boards to roadside billboards. Flashing among the usual advertisements are brash neon-lit signs extolling socialist values. There is nothing new about such campaigns. Among all the changes in China, the constant presence of slogans has been reassuringly stable. In the mid-1990s, when I was living in Inner Mongolia, even the most remote grassland areas were full of phrases extolling “love of the motherland” (a slogan linked to a patriotic education movement at the time) and even more direct exhortations to “raise the quality of the population” (tigao renkou zheliang). In the era of Hu Jintao, from 2002 on, it soon became impossible to wander far without coming across some formulation working in Hu’s trademarks of “scientific development” (kexue fazhan) and “harmonious society” (hexie shehui). When U.S. President Barack Obama and Chinese President Xi Jinping meet in Washington next week, the dynamics of the bilateral relationship will be more perilous than at any summit in the past thirty-six years. Their challenge, during and after their meetings, is to steer U.S.-China strategic competition onto a manageable course despite disparate interests and antagonistic attitudes in both countries. Many Americans now see the PRC as an expansionist bully pushing dubious territorial claims, as a nation that has grown strong through theft of intellectual property, and as a pre-modern state run by a brutal, xenophobic regime. Americans worry, moreover, that China intends to weaken U.S. alliances and push the U.S. out of the Western Pacific. Chinese see the United States as a declining hegemon whose true intention is to contain China’s just rise by manipulating an unfair global system. The list of grievances is long, serious, and growing. Both nations claim the moral high ground and both seem to believe that all fault lies on the opposite side of the Pacific. Worse, each side is increasingly prone to see the other not only as untrustworthy, but as irrational. Americans are repulsed by China’s extreme nationalism and by an ideological crackdown that smacks of Maoism; China sees America’s determination to retain its past primacy in a rapidly changing world as not only doomed, but dangerous. Worsening mutual perceptions belie ongoing engagement between U.S. and Chinese corporations, NGOs, and academic institutions that is deep and rich and which has benefitted both nations for decades. The Los Angeles-class submarine USS Tucson departs Joint Base Pearl Harbor-Hickam for a scheduled deployment to the western Pacific region in 2010. A new report by Rand Corp. said the United States should decrease its emphasis on large aircraft carriers in the Pacific and spend more on submarines. When Chinese President Xi Jinping visits the United States beginning Monday, two security issues are likely to be at the forefront: cyberattacks and tensions over disputed territory in the South China Sea. China appears to be building an airstrip on a dredged reef near an oil and gas field also claimed by the Philippines, a move that may further inflame international tensions over the South China Sea. China appears to be taking new steps to lay down airfields on two reefs in a disputed area of the South China Sea on the eve of Chinese President Xi Jinping's Sept. 24 arrival in Washington for a state visit. This excellent book examining possible PLA futures has only become more important in light of Xi Jinping’s recently-announced military restructuring! It was an honor for me to serve as a discussant at the conference at which this book’s chapters were originally presented as draft papers, and I can attest that this volume is a worthy product of that great PLA watching community event. For anyone who hasn’t yet had a chance to read them, I highly recommend the other conference reports and books in this series as well. Roy Kamphausen and David Lai, eds., The Chinese People’s Liberation Army in 2025(Carlisle, PA: Strategic Studies Institute, U.S. Army War College and National Bureau of Asian Research, 2015). This volume is of special relevance in light of the profound changes occurring within the Chinese People’s Liberation Army (PLA). China’s desire to develop a military commensurate with its diverse interests is both legitimate and understandable. The challenge for U.S. Pacific Command (USPACOM) is to understand how China will employ this growing military capability in support of its interests. The book addresses the uncertainty surrounding the potential direction of the PLA by examining three distinct focus areas: domestic, external, and technological drivers of PLA modernization; alternative futures for the PLA; and, implications for the region, world, and U.S.-China relations. The analysis provides an insightful perspective into the factors shaping and propelling the PLA’s modernization, its potential future orientation ranging from internally focused to globally focused, and how the PLA’s choices may impact China’s relations with its neighbors and the world. 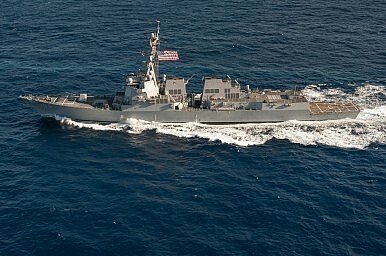 Does China’s New Missile Threaten US Power in the Pacific? Paul Lewandowski, “Does China’s New Missile Threaten US Power in the Pacific?”Parallax World, 16 September 2015. The Global Times… declared that, after nearly a decade of the weapon’s development, the DF-21D’s coming-out party signaled a more confident attitude from the PLA. Andrew Erickson, a professor in the US Naval War College’s China Maritime Studies Institute, believes the DF-21D’s appearance in the Victory Day parade is a genuine sign of China’s confidence in the weapon. “For [the DF-21D] to appear in the recent parade, it must already be operational and Beijing must already have a certain level of confidence in its basic capabilities,” Erickson told Parallax World in an email today. Following the recent Chinese incursion in Burtse in Ladakh and the quick ‘answer’ from the Indian forces who dismantled the structure built by the Chinese, it is interesting to look at what happened nearly 60 years ago at Shipki La, the pass between Himachal Pradesh and Tibet. At that time too, it started with some Chinese incursions. 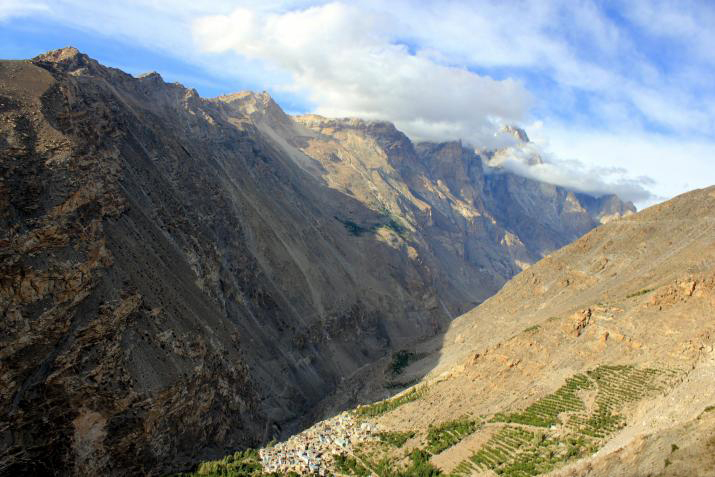 The Government of India have received a report that on the 1st September 1956, a party of about 10 Chinese Army personnel entered and took up position about 2 furlongs [1/2 kilometre] from Hupsong Khad on the Indian side of Shipki La Pass. 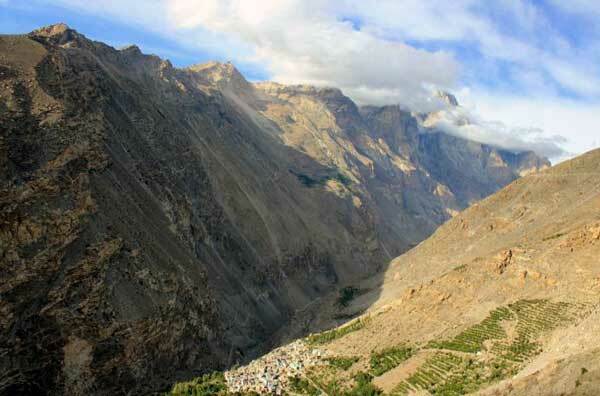 The Party withdrew after the Officer-in–Charge of the Indian Border Police pointed out to the Captain in command of the Chinese Military Personnel that the Indian territory extends up to the Shipki La Pass. The crossing of the Shipki La Pass by the Chinese Army Personnel without visaed Passports violates the Sino-Indian Agreement of April 29, 1954, in which the Shipki La Pass has been recognised as the border between India and Tibet region of China at that place. The Government of India presume that the Chinese Army Personnel crossed into Indian territory by mistake and not deliberately. 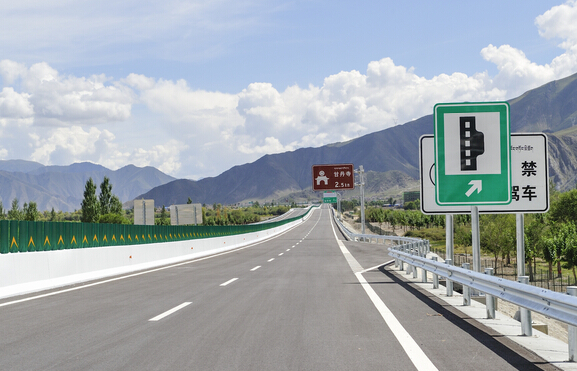 According to the Tibet Business Daily, a ‘high-grade highway’ between Lhasa and Nyingchi (Tibetan, Nyingtri) is expected to begin its trial operations on September 15. On September 10, 2015, local reporters drove from Lhasa to Meldro Gungkar (Maizhokunggar) County to ‘experience highway conditions’ on this section of the new Lhasa-Nyingchi highway. The White House wants a commitment from Beijing to stop commercial espionage and is threatening sanctions on hackers and companies if it doesn’t get it. The tough talk reflects Obama’s insistence that the United States has ways of retaliating for what he has described as the rampant theft of American intellectual property by Chinese state-sponsored hackers, an issue likely to dominate the president’s meeting with his Chinese counterpart, Xi Jinping, later this week. But Obama’s bluster underlines what has become a depressing reality for the president as he approaches the end of his tenure in office: Despite years of threats, cajoling, and indictments aimed at deterring China from stealing American commercial secrets, Washington has made little progress in developing a set of tools that would deter Beijing’s cyberspies from breaching the networks of major companies like Westinghouse and then passing on their trade secrets to Chinese state-owned enterprises. 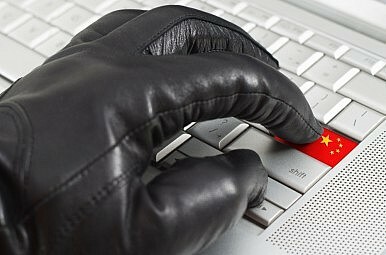 As a result, the administration is considering rolling out a limited set of sanctions against Chinese firms suspected of benefiting from economic espionage — and perhaps the hackers who carried out the operations as well. As the dust is settling down on the Potala Square in Lhasa, the time has come to take stock of the ‘grand’ event held last week in the Tibetan capital, namely the celebrations for the 50th anniversary of the foundation of the so-called Tibetan Autonomous Region (TAR); in other words, the dismemberment of the Roof of World in 5 parts (with the TAR remaining the largest one, parts of Tibet are now administered by Sichuan, Yunnan, Qinghai and Gansu provinces). Beijing has been preparing the events for months. 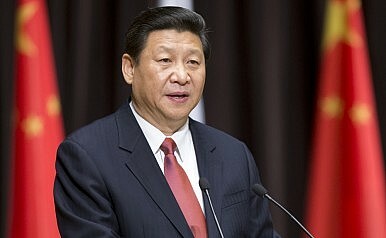 Imagine, 2 White Papers published since March 2015, a full Politburo meeting (on July 30), a two-day Sixth Tibet Work Forum (on August 24 and 25), a new Leading Group on United Front Work to deal with Tibet affairs and numerous high-profile visits to Tibet reported from time to time on this blog. Why should China spend so much time and energy on Tibet? The Chinese propaganda will probably tell you: China loves Tibet. The following is based on publicly released information, interviews with Air Force personnel at the Pentagon and reportage from Dyess Air Force Base, Texas. Al Udeid Air Base, Qatar—A B-1B bomber has a crew of four. Right now, all four are confused. There are two pilots, call signs Dash and Astro. Two Weapons Systems Officers (WSOs), Lobo and Biscuit, sit directly behind the cockpit, a partition between them. The two pairs spend missions of up to 14 hours together in a cramped cockpit but never see each other, except when the WSOs head to the crude metal toilet. Dash is the mission lead, and his crew is ready to take off for combat operations over Afghanistan in support of Operation Enduring Freedom. But just before they take off, the air traffic controllers tell them to stop and wait on the runway. More than a half hour passes with no updates, and no one will discuss anything on an unsecured radio. "This is bad," Dash tells his crew, part of the 9th Expeditionary Bomber Squadron. "Something's happening." Summary: Nothing shows the magnitude of our failure in Iraq as its transformation from foe to friend of Iran. More than an ally, Iran has become powerful in Iraq’s internal politics. Neither Iraq’s rulers nor its neighbors are happy with this, and now they push back. Stratfor seems optimistic about their odds of success. Color me skeptical about this analysis. However, Stratfor’s greatest value is as a window into the values, assumptions, and thinking of US elites. This shows how little we’ve learned after 14 years of FAILs in Iraq. The Iraqi prime minister will continue to pursue reforms to loosen Iran’s grip on his country. A growing number of regional rivals will seek to challenge Iran’s position as the dominant foreign influence in Iraq. Iran’s powerful proxies and considerable clout in the Iraqi parliament will continue to cement its presence in Iraq for the foreseeable future. 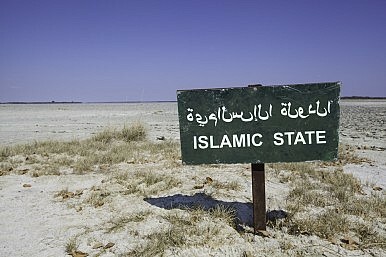 Thanks to its well-publicized savagery, the Sunni jihadi group calling itself Islamic State is gaining the lion’s share of attention given to violent Islamic extremist groups by the military and the media. But a new report produced for a Tampa-based military command suggests that both despite and because of the current notoriety of Islamic State, al-Qaida may very well remain the bigger long-term threat. The 40-page report was produced for Special Operations Command Central, headquartered at MacDill Air Force Base, by spot-on, oft-contrarian analyst Daveed Gartenstein-Ross, senior fellow at the Foundation for Defense of Democracies, and his consulting firm Valens Global. That al-Qaida might be better positioned to last than Islamic State goes against conventional wisdom, Gartenstein-Ross acknowledges. But that matters not to him. Malaysia and Indonesia have agreed to boost bilateral cooperation on counterterrorism following a four-day working visit of Malaysia’s deputy prime minister, Ahmad Zahid Hamidi, to Jakarta. According to a statement released by the Office of the Deputy Prime Minister, the two countries will cooperate in de-radicalization efforts, with Malaysia’s Home Ministry hosting an international workshop next year that is expected to come up with a standard operating procedure on handling the issue. Apart from Indonesia, other countries such as the United States, Britain, and Australia will also be invited to participate in the workshop. Beyond de-radicalization, the two countries also reportedly discussed efforts to step up cooperation and exchange of intelligence information on anti-terrorism issues. Much has been written about the young men and women who join the Islamic State. We are familiar with their biographies and pathways, backgrounds and motivations. But virtually nothing is known about those who quit: the ‘defectors’ who didn’t like what they saw, abandoned their comrades, and fled the Islamic State. Yet their stories could be key to stopping the flow of foreign fighters, countering the group’s propaganda, and exposing its lies and hypocrisy. For a short paper, ICSR collected all published stories about people who have left the Islamic State and spoken about their defection. We discovered a total of 58 – a sizable number but probably only a fraction of those who are disillusioned or ready to leave. They are a new and growing phenomenon. Of the 58 cases, nearly two thirds of the defections took place in the year 2015. One third happened during the summer months alone. Following Russia’s recent deployment of military personnel to Syria, the Kremlin has intimated that Vladimir Putin would like to meet with President Obama during his upcoming visit to the United Nations General Assembly. By all accounts, the administration is torn. But it is high time for Obama to sit down and have a serious discussion with his Russian counterpart. In recent years, President Obama has essentially given Putin the cold shoulder. After Russia granted asylum to Edward Snowden, the White House pulled out of a summit meeting scheduled for September 2013 in Moscow. Subsequently, following Russia’s annexation of Crimea in March 2014, Obama has only met briefly with Putin on a couple of occasions: in June 2014, following the commemoration of the 70th anniversary of D-Day in Normandy; and in November 2014, during the APEC summit in Beijing. 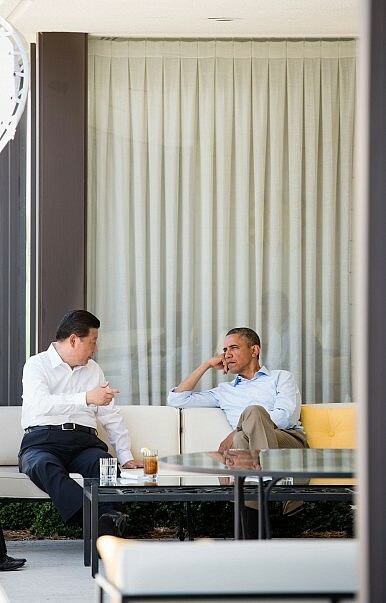 The two leaders have, on occasion, talked over the phone. But the last time they engaged in an in-depth face-to-face discussion was over two years ago. BloombergThe Syncrude upgrader plant of the company's mine stands at dusk in the Athabasca Oil Sands near Fort McMurray, Alberta. Low prices for oil for the long term is not good news for Canada's oil patch. A glut of crude may keep oil prices low for the next 15 years, according to Goldman Sachs Group Inc. The liberal dream of a neutral cyberspace is dead and the foreign threat detectors are conspiratorial and selective. Like the US, India’s threat detecting agencies must refrain from operating in silos to stop the haemorrhaging of the nation’s secrets. FROM Mongolia to the United States, Prime Minister Narendra Modi has inked a cybersecurity pact with nearly every country he has visited. Laying out the grand plan of a ‘Digital India’ this July, lavishly spattered with tech jargon, he drew attention to the “global threat of a bloodless war”. The cautionary tone eerily reminded me of novelist William Gibson – largely credited for popularizing the term “cyberspace” – and his anxieties of a dystopian future. The developments in digital technology of recent years are truly dramatic and their implications far-reaching. And while no-one understands all the changes these developments will bring, most individuals, many business and governmental leaders, and society as a whole, are not really cognizant of or prepared for the shifts to come. For governments seeking to hide controversial programs from their citizens, there are few better directions to transmit secret military and espionage communications than straight up. Unlike here on earth, no pesky amateur radio eavesdroppers or curious hackers monitor the open sky between ground control and a drone—not to mention between that drone and its communication satellite perched miles higher up. One small crew of hackers is trying to pierce that stratospheric secrecy zone with a high-altitude flying—or at least floating—machine of their own. The three members of a socially motivated movement of technologists known as Critical Engineering have developed and begun testing an “aerospace probe” they call the Deep Sweep. The invention, described in their own detailed writeup, is a 1-foot-diameter acrylic orb packed with radio equipment and attached to a 8.2-foot diameter helium-filled weather balloon. As it floats up more than 15 miles into the earth’s atmosphere, the probe’s antennae are designed to record a wide range of radio data to be analyzed when the probe is recovered hours or days later. The project’s goal: to pioneer a new form of public, crowd-sourced data collection for tracking the communications of a secret layer of government sky machines—drones, satellites and high-altitude planes. How should you tap into Silicon Valley? Not by sticking a toe in the water. Get your management team aligned and then commit. The roughly 1,800-square-mile area commonly known as Silicon Valley, southeast of San Francisco Bay, is home to just three million people—slightly less than 1 percent of the US population. Yet the Valley, seat of several world-class universities and numerous cutting-edge enterprises, has become an economic and innovation powerhouse whose importance is hugely disproportionate to its small physical size. If it were a country, it would rank among the world’s 50 largest economies, larger than those of Hungary, Vietnam, and New Zealand, among others. In 2013, Silicon Valley generated over 12 percent of US patent registrations and produced about 11 percent of new US-company IPOs, and the greater Bay Area attracted almost 40 percent of US venture-capital (VC) investment.1 More than a few ideas hatched in the Bay Area have paid off handsomely. Thirty-two of the 50 private start-ups with valuations at or exceeding $1 billion are based there. This is not a new phenomenon, of course. Bay Area enterprises have been creating new markets and disrupting a wide swath of industries for decades. The outgoing Secretary of the Army and the recently retired Chief of Staff of the Army published a new vision for the Army that calls for a wider focus to meet a broader range of demands. After previous wars, the Army has shrunk in size; but in today’s security environment the demand for forward American military presence has actually been higher than any other post war period. The Army Vision focuses on how the Army must innovate to meet today’s steady state demands and the challenges of conflict in the future. To that end, The Bridge has been kind enough to host a series on the Army Vision and its impact on the changing landscape for land forces in the future. Emerging from over a decade of war and facing significant budgetary pressures, the Army is now focused on evolving and transforming itself to meet tomorrow’s challenges while addressing current demand. With the changing of Army senior leadership and the recent release of General Dempsey’s National Military Strategy, there is both an opportunity and a need to examine the Army Vision and its inherent assumptions, including: Should the new Army Secretary and Chief of Staff continue down this path described by their predecessors? Are the unique roles of the Army defined in the Army Vision the only contributions of the Army to the Department of Defense? Do the characteristics in the Vision help the Army evolve enough to meet the demands of the future security environment? The diagram below, drawn from U.S. Joint planning doctrine (JP 5-0), graphically depicts America’s current model for designing military campaigns, its way of battle. The diagram first appeared in U.S. doctrinal publications in the early 2000s, but it was under development during the 1990s. It represents an ideal campaign or battle; and one can detect traces of Desert Shield and Desert Storm in the way the division and sequence of activities are portrayed. It is risky to take any ideal as a model for reality, particularly a misleading one. Yet, for more than a decade that is exactly what we have done. Following the Gulf War, the United States entered a long containment phase for Iraq, relying heavily on two no-fly zones (NFZs) to limit the regime’s ability to threaten Kuwait or Iraqi Kurdistan. In retrospect, these air operations were not only significantly less costly than the massive ground operations that followed, but they obtained better results. The contrast between the air-only containment efforts and the ground-heavy invasions is stark. Air campaigns were successful in containing Iraq, protecting Kurdish and Shia civilians, and unseating the Taliban government in Afghanistan. Civilian casualties were minimal and sporadic. As I have discussed here at War on the Rocks and a recent article in Air Force Magazine, these air operations were far more economical than the ground-heavy approach taken in Iraq and Afghanistan after 9/11, had a much lower footprint, and were well-supported by existing bases. 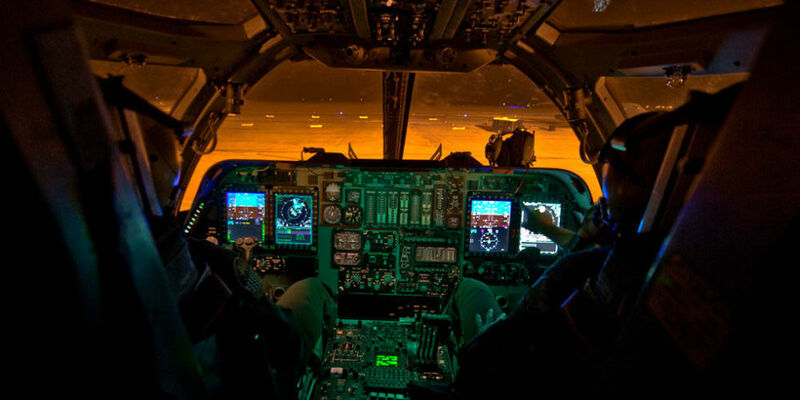 Air operations could be successful again at containment, as Operation Inherent Resolve is proving to be.